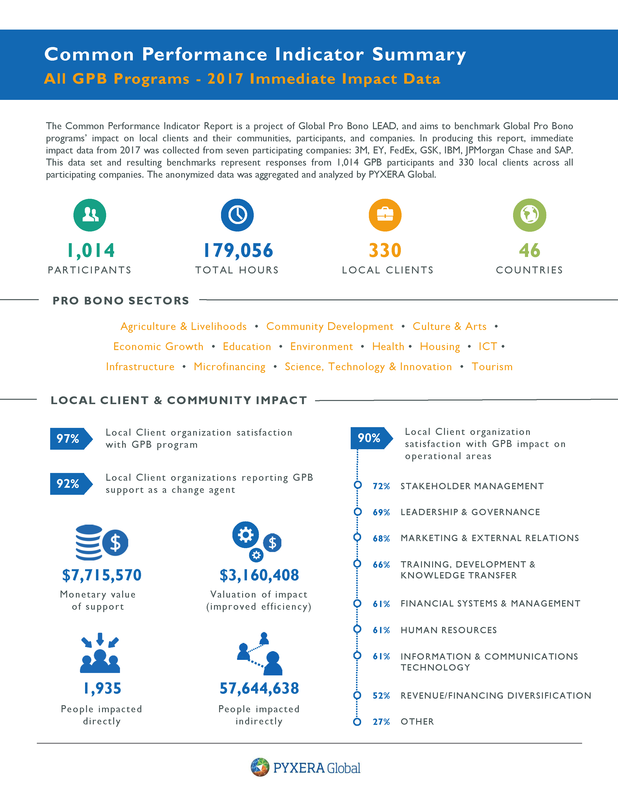 The Common Performance Indicator Report is a project of Global Pro Bono LEAD, and aims to benchmark Global Pro Bono programs’ impact on local clients and their communities, participants, and companies. 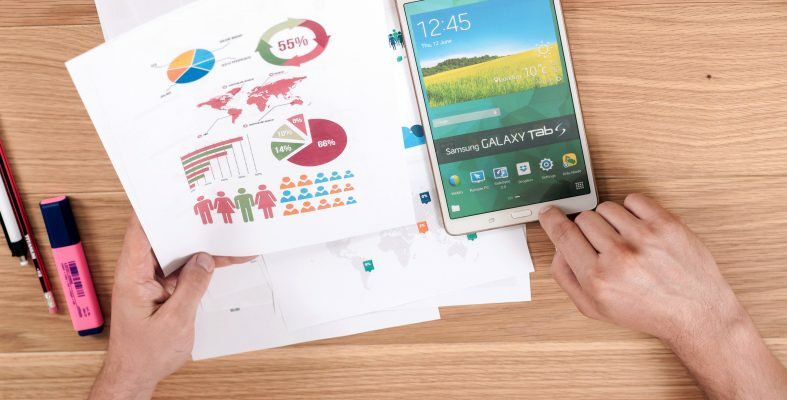 In producing this report, immediate impact data from 2017 was collected from seven participating companies: 3M, EY, FedEx, GSK, IBM, JPMorgan Chase and SAP. This data set and resulting benchmarks represent responses from 1,014 GPB participants and 330 local clients across all participating companies. The anonymized data was aggregated and analyzed by PYXERA Global.